The Gastric Guru (“We”) are committed to protecting and respecting your privacy. For the purpose of the Data Protection Act 1998 (the Act), the data controller is The Gastric Guru. 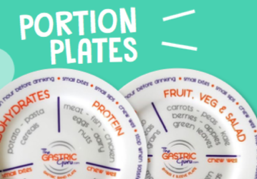 To protect the rights, property, or safety of The Gastric Guru, our customers, or others. This includes exchanging information with other companies and organisations for the purposes of fraud protection and credit risk reduction. You have the right to ask us not to process your personal data for marketing purposes. We will usually inform you (before collecting your data) if we intend to use your data for such purposes or if we intend to disclose your information to any third party for such purposes. You can exercise the right at any time, even if you have previously agreed to us using your personal information, by contacting us at contact@thegastricguru.com.